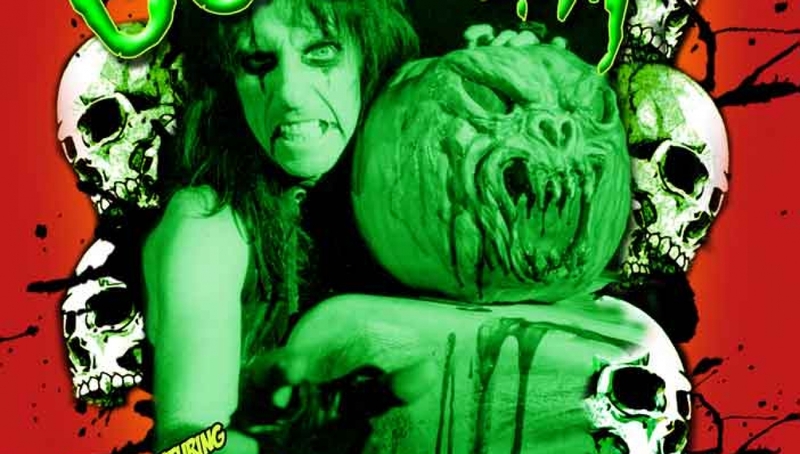 It’s more than 40 years since Alice Cooper pionerred Shock Rock, and now he is pushing the boundaries of acceptability and decency once more with his Halloween Night of Fear. On 31 October and 1 November Alice will perform two very special and unique Halloween shows, where he’ll be joined by world-renowned alternative performer Jim Rose (of the infamous Jim Rose Circus) and Zodiac Mindwarp and The Love Reaction. But wait! The line-up is by no means complete, not depraved enough yet. Alice has found new performers to enhance these ghoulish shows; think circus sideshow, think freaky, think unbelievable, shocking and totally weird. Nothing less will impress the master of all things horrific. During August, Alice requested video submissions of ‘sideshow and freak acts’ to his website (www.alicecooper.com). The best were invited to a live audition on 9 August at The London Dungeon where they performed in front of a panel of judges in what was surely the most bizarre talent show this country has ever seen! The panel consisted of Alice himself along with Planet Rock’s Nicky Horne and Time Out’s Tim Arthur. The freakiest and most outrageous sideshows will become part of Alice Cooper’s Halloween Night of Fear. *Jim Rose: *The Jim Rose Circus is a modern-day circus freak show, founded by Jim Rose in the early 1990’s and which found fame durig Lollapalooza in 1993. His show features a mixture of the bizarre, the comic and the repulsive… and has since achieved world-wide cult status. *Zodiac Mindwarp & The Love Reaction *are renewing their association with Alice Cooper, having toured with Alice in 1988, a year after they achieved a top 20 with ‘Prime Mover’. Zodiac Mindwarp also co-wrote ‘Feed My Frankenstein’ for Alice.